Top 30 Best Selling Manga in Japan 2014 - How much is it in Tokyo? A market research company Oricon published the top 30 ranking of best selling manga titles in 2014 (data from 2013 Nov. 18 to 2014 Nov. 16). 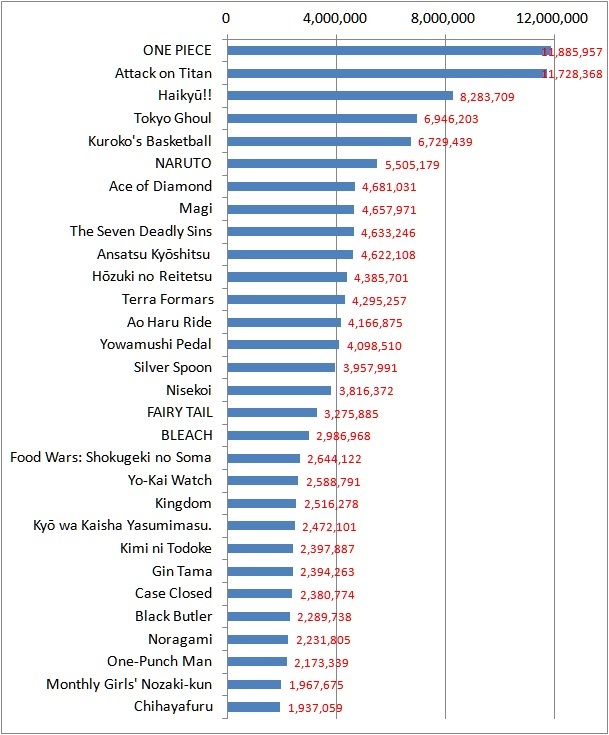 According to it, top 2 (ONE PIECE and Attack on Titan) are same as those of the 2013 ranking. Haikyū!! and Tokyo Ghoul rapidly increased their sales in 2014.